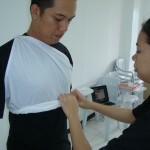 The chest bandage application can also be applied for the back. 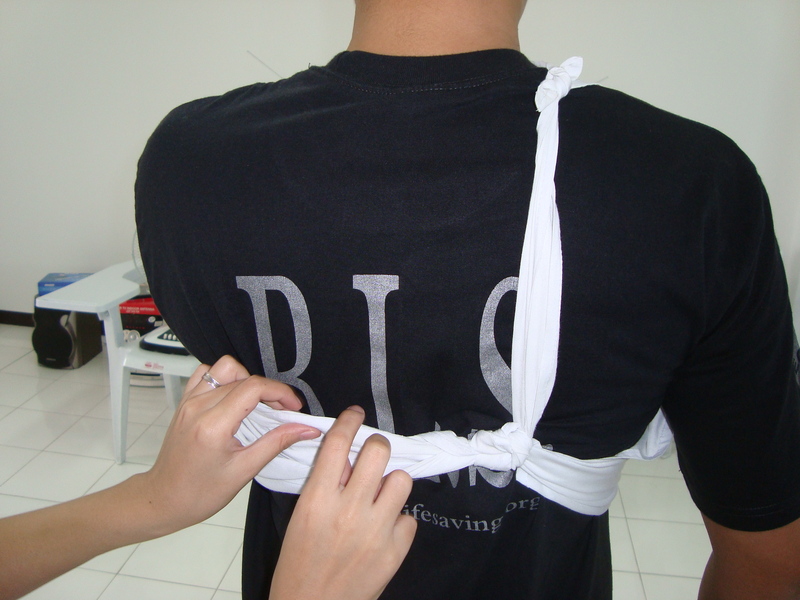 What is shown below is the application for the front (chest area). 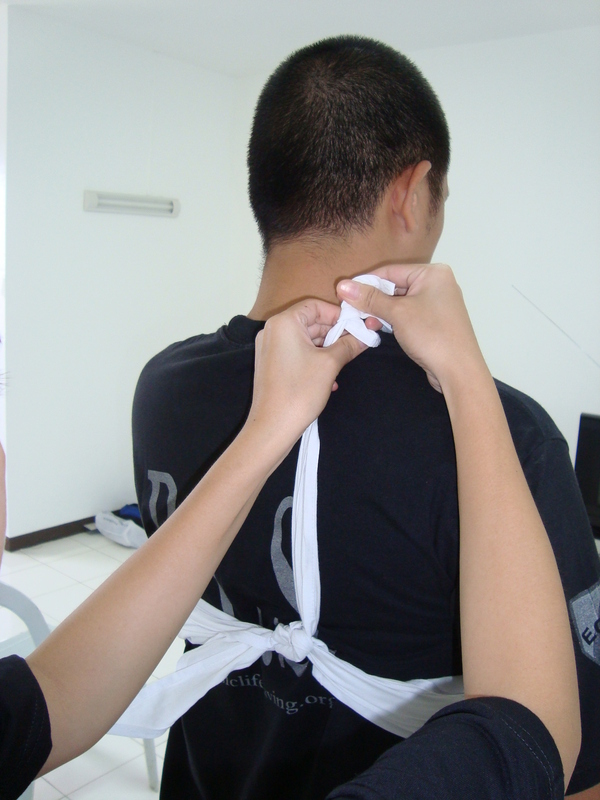 Simply do the same steps on the back if the bandage is to be applied for back injuries. 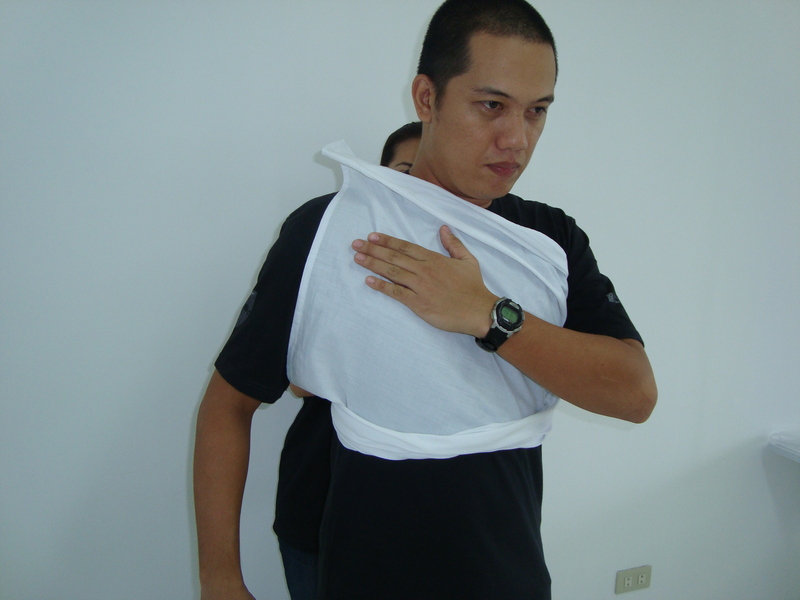 Locate the apex of triangular bandage, place on the shoulder above the affected chest (figure 1). In this case, the affected side is the right side. 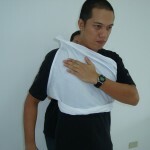 It follows that the apex will be on the left shoulder if the left side of the chest is the injured side. 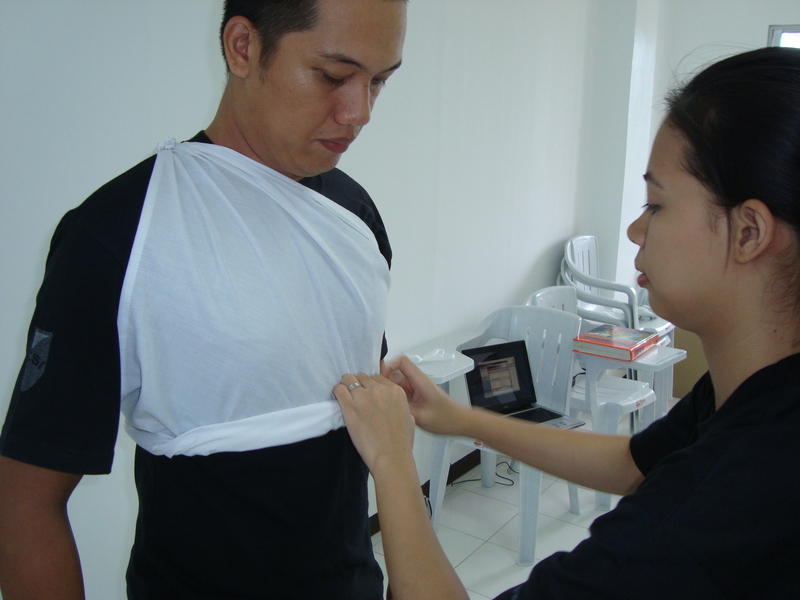 Make some adjustments on the base and sides of the triangular bandage by folding them outside (figure 6). 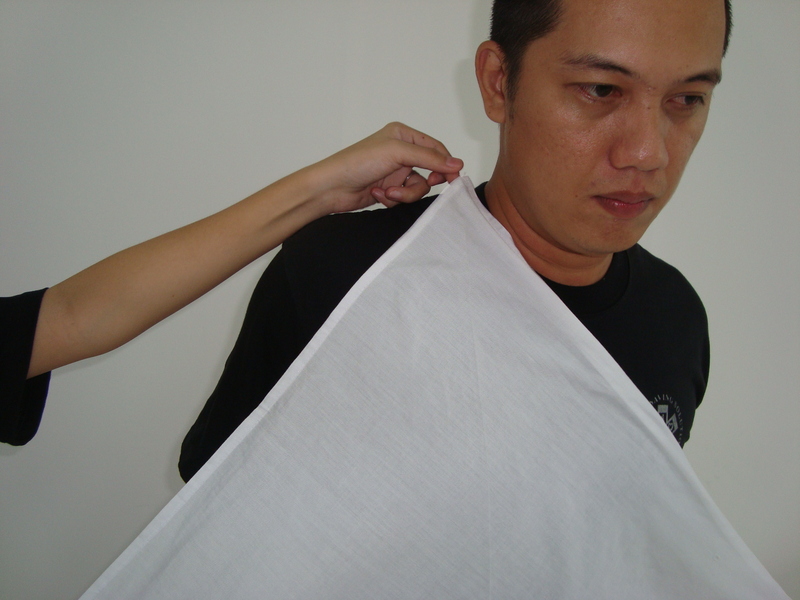 This will tighten the bandage and will hold the dressing in place.